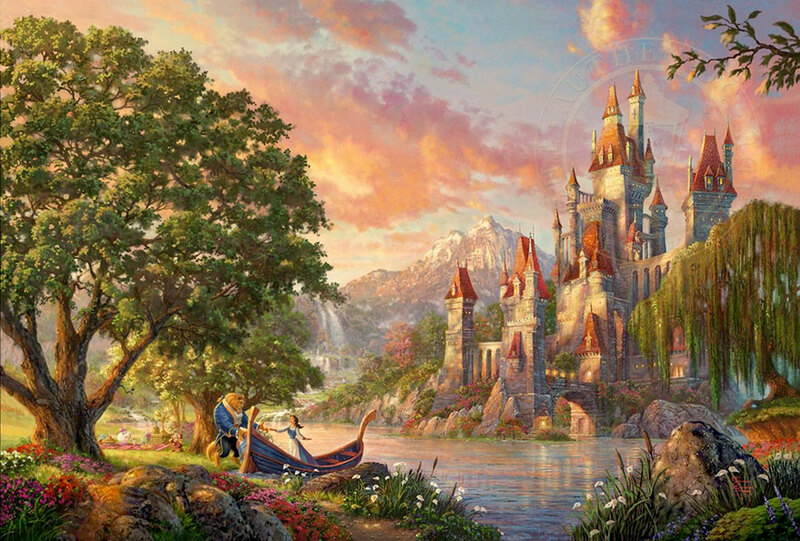 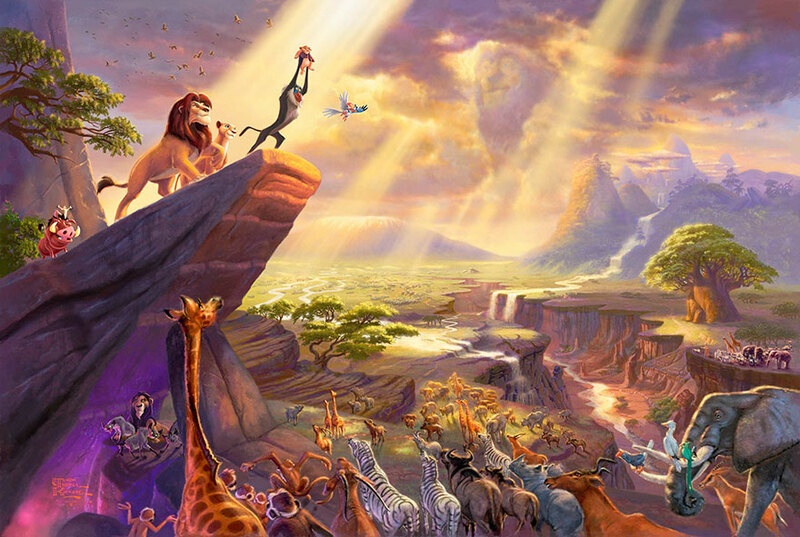 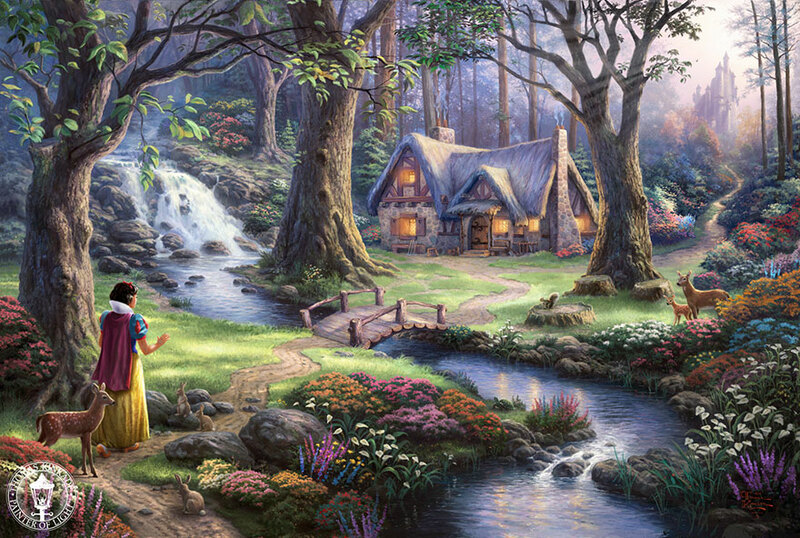 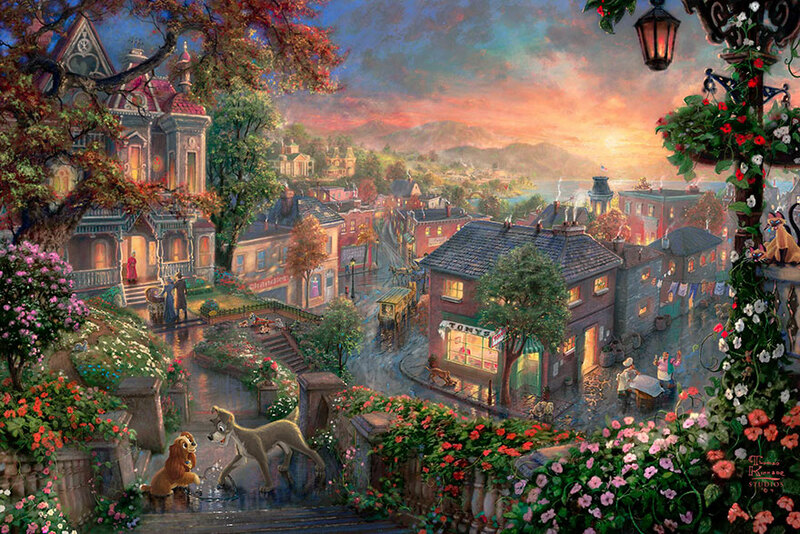 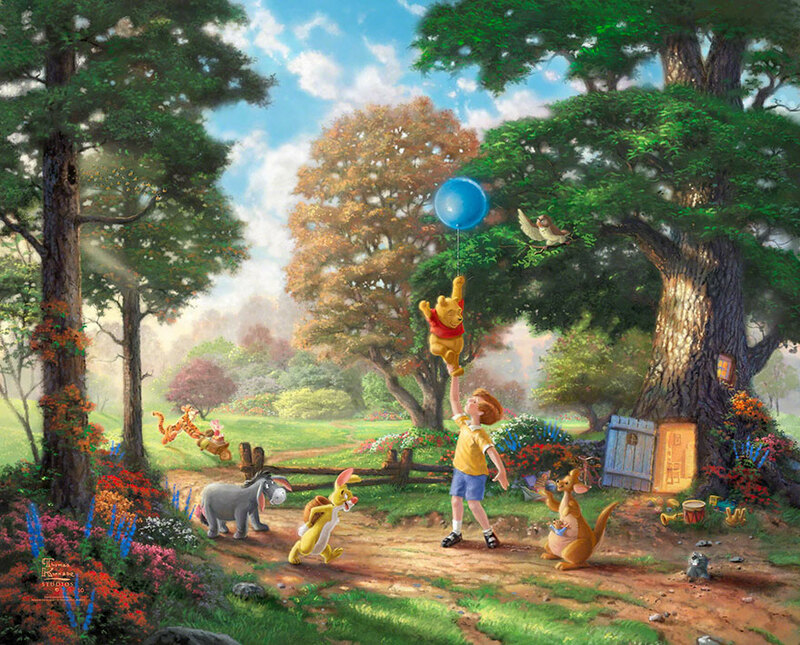 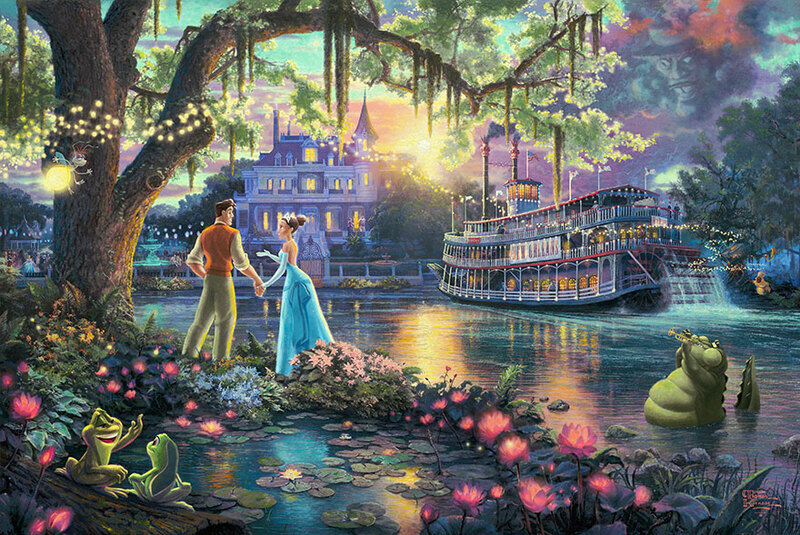 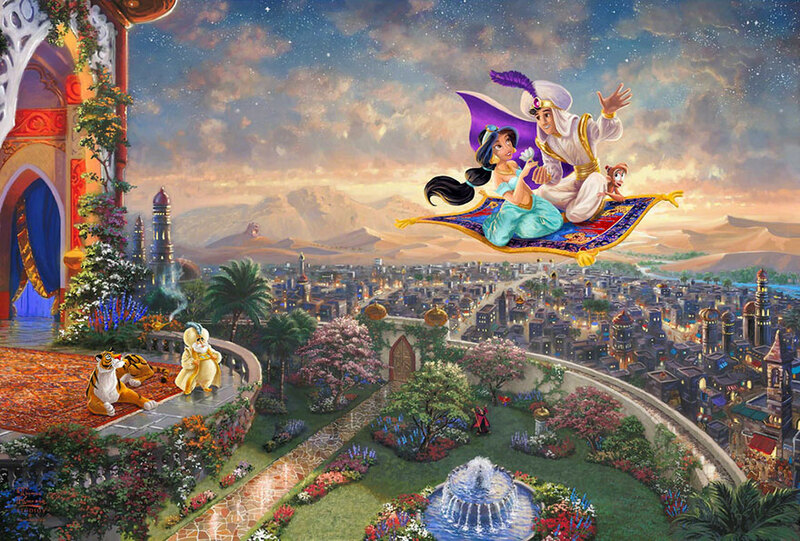 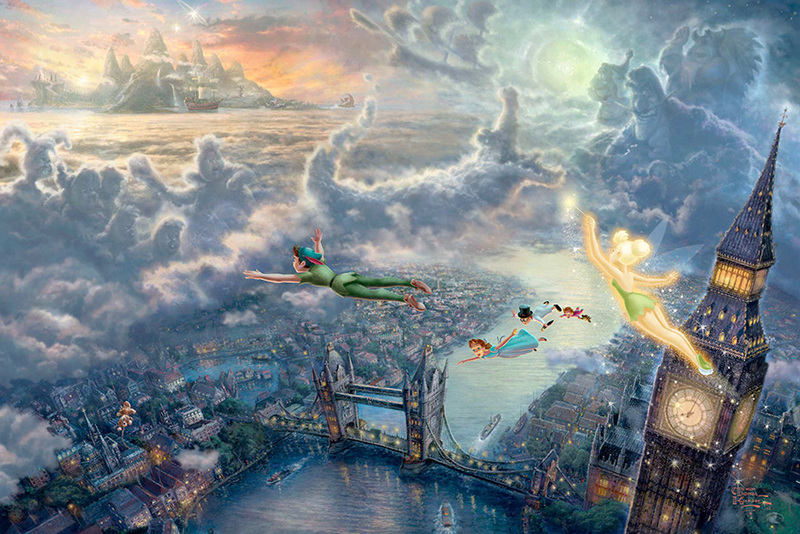 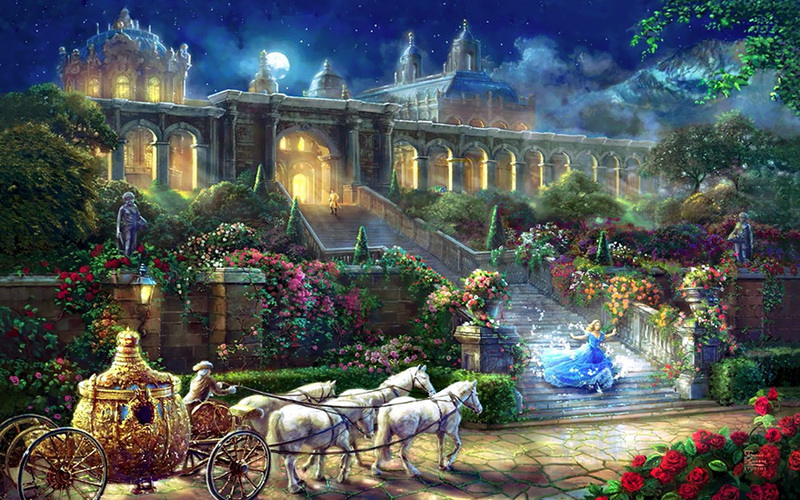 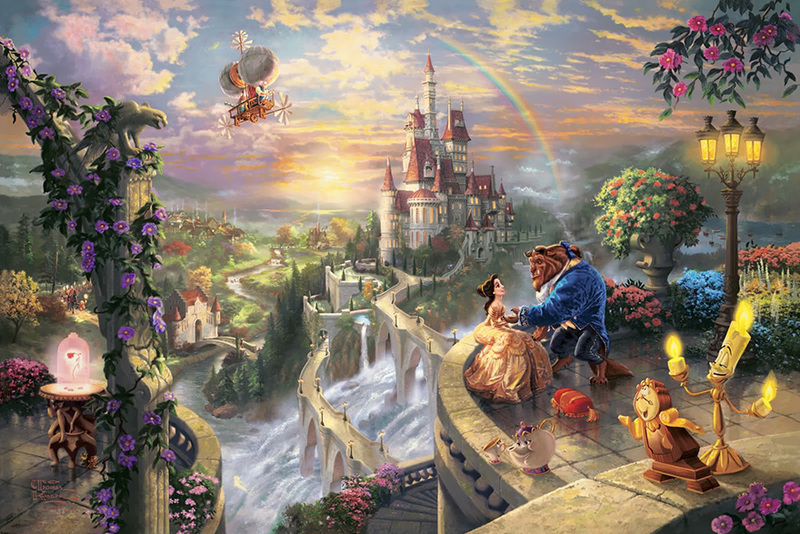 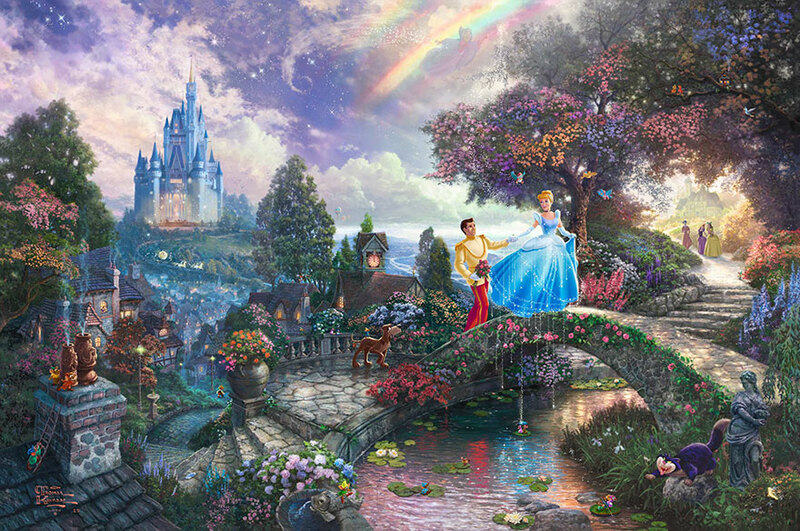 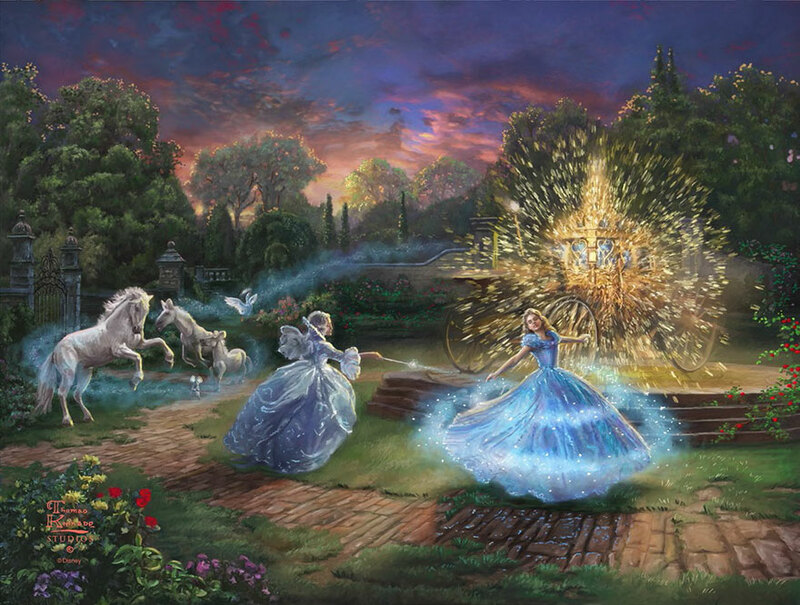 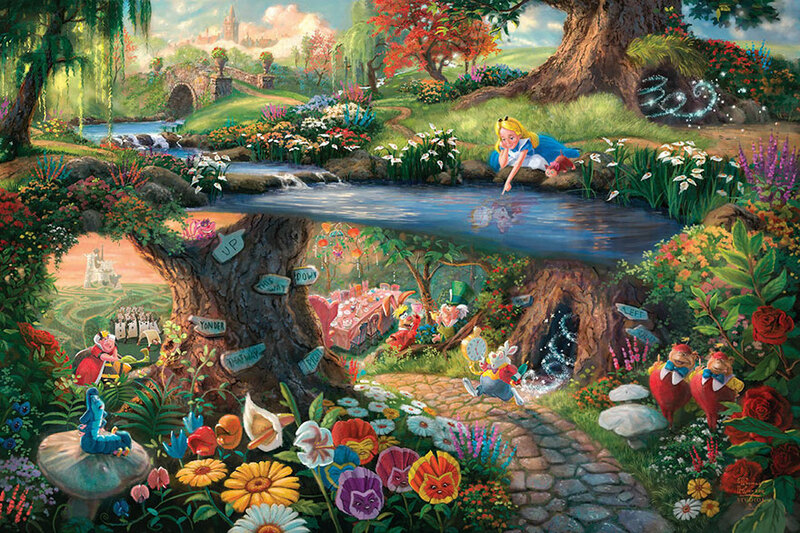 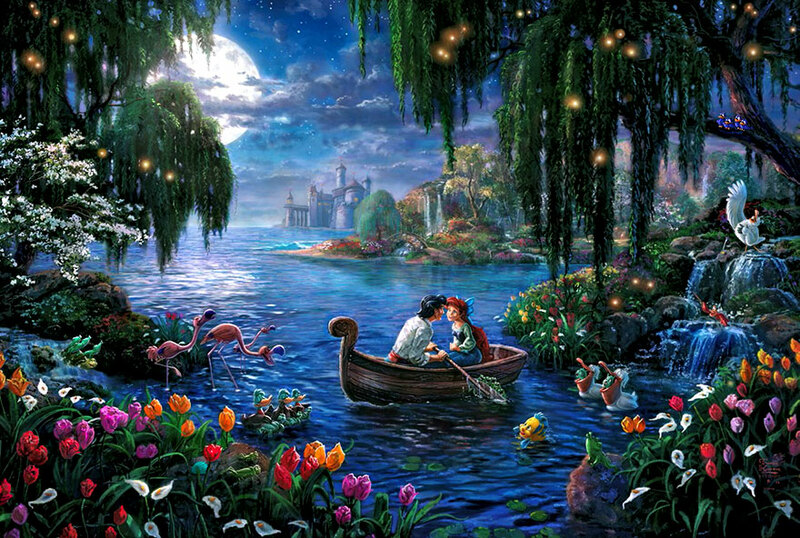 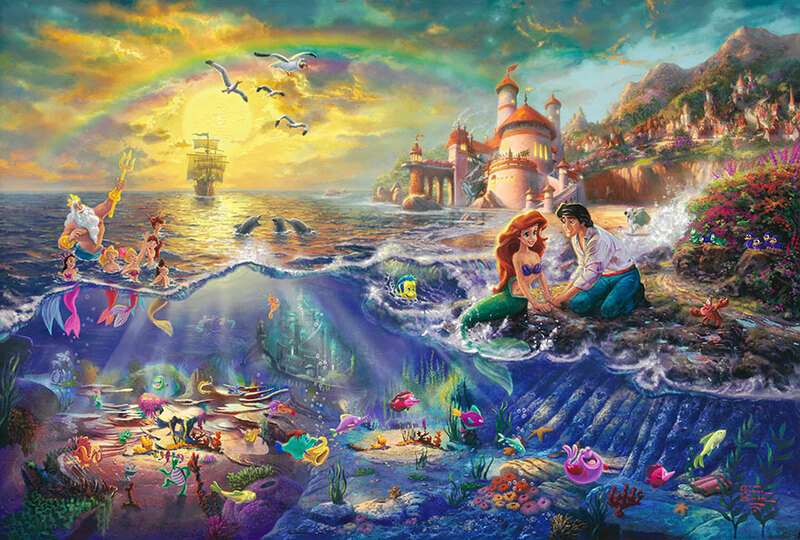 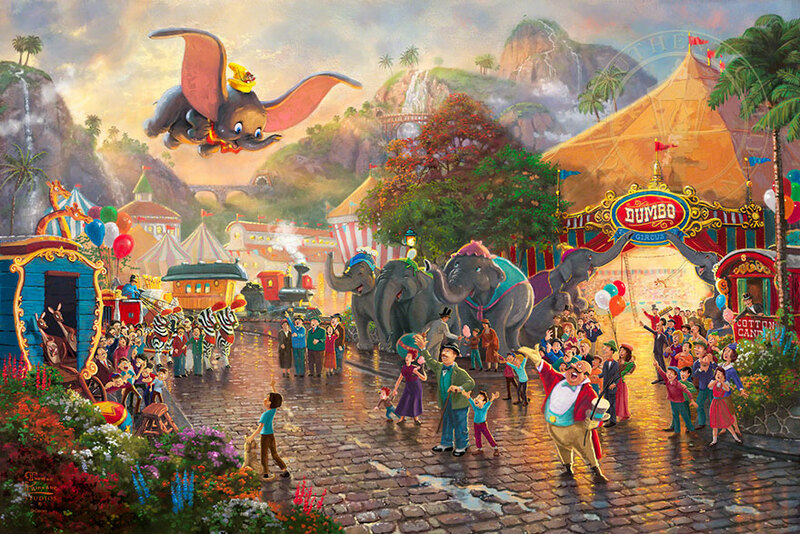 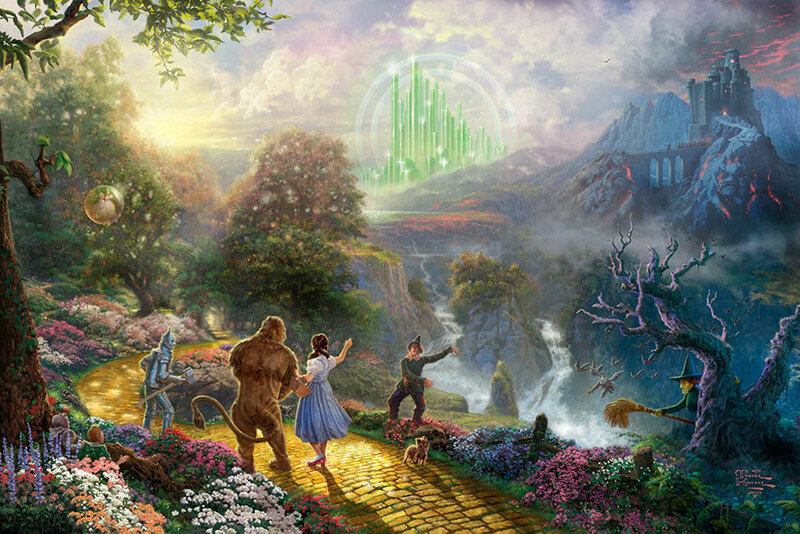 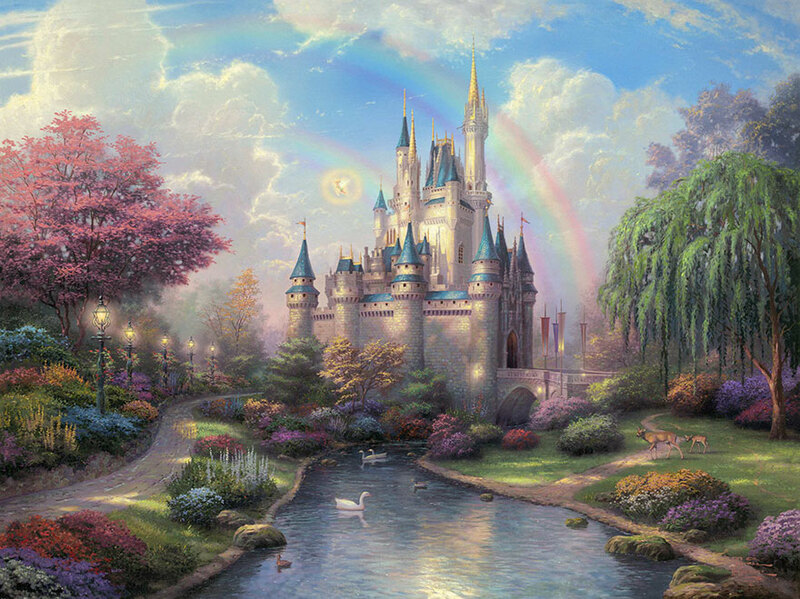 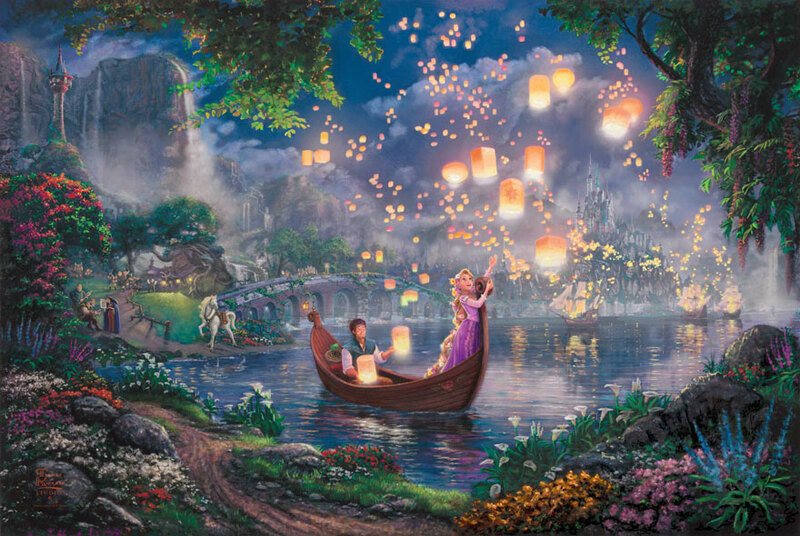 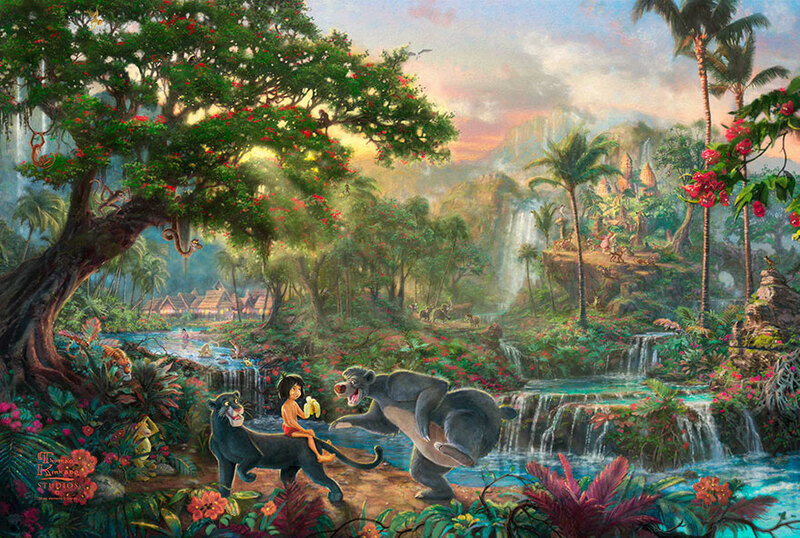 Looking at these magical Disney scenes it’s hard to believe that these are actual paintings and not digital illustrations. 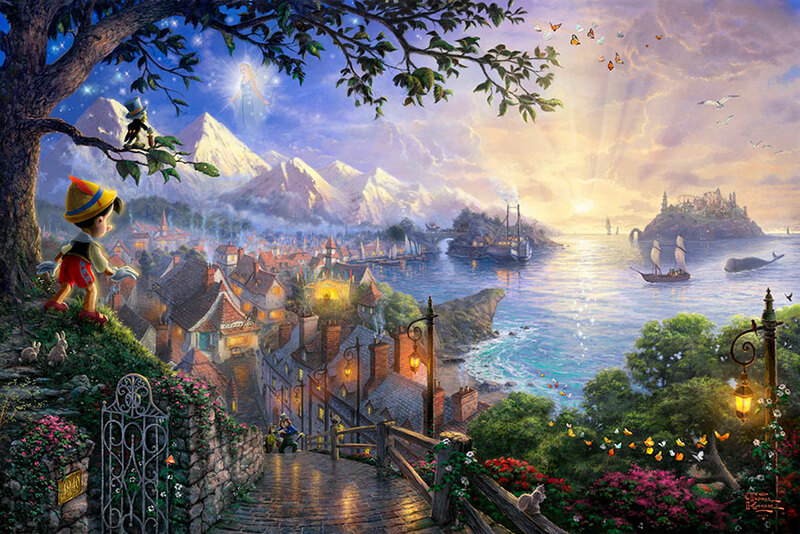 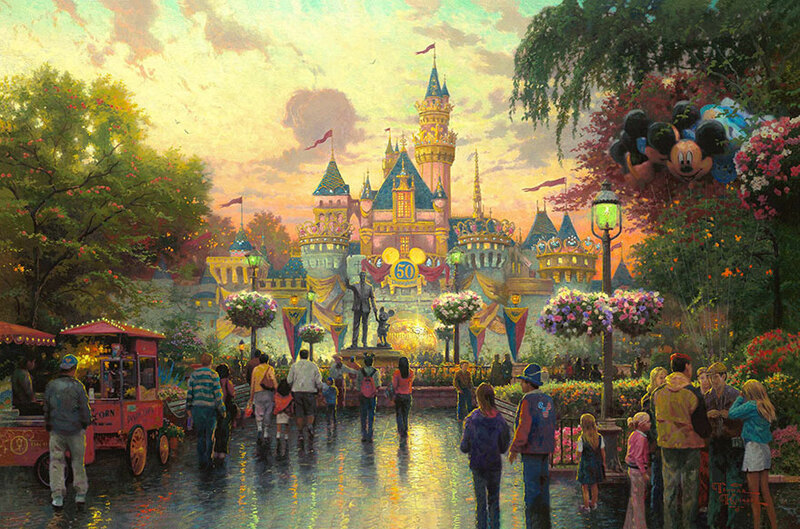 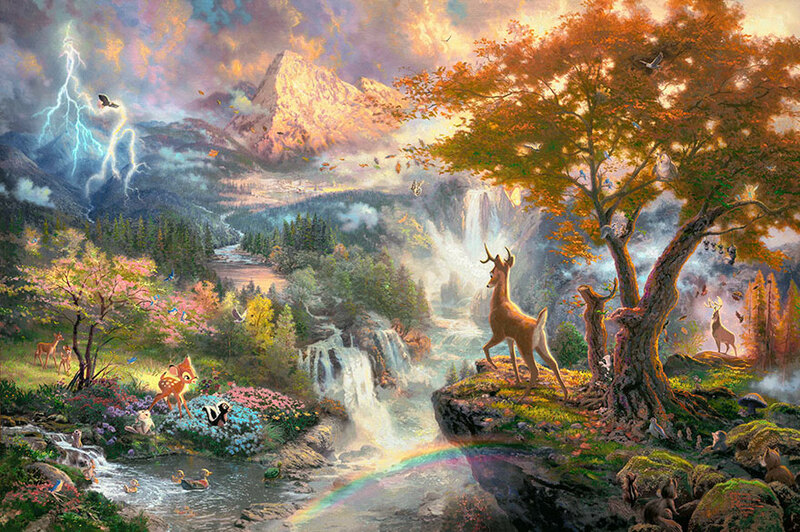 They’re the work of American artist Thomas Kinkade, who was the master of chiaroscuro, a painting technique using light and dark contrasts to create a sense of drama and the illusion of volume. 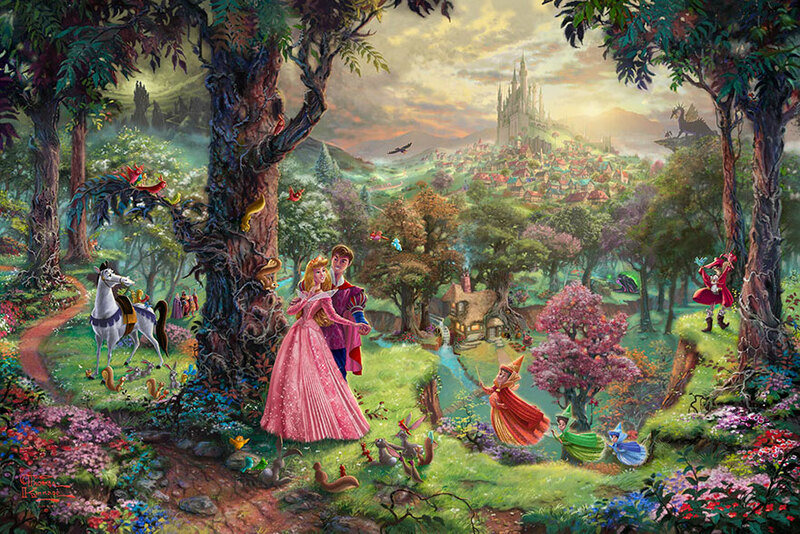 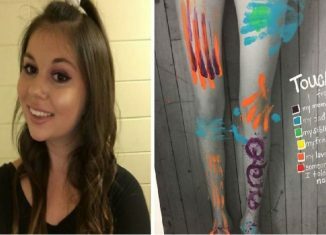 That’s why it looks as though your favorite childhood characters could come alive any second and step through the painting to greet you.